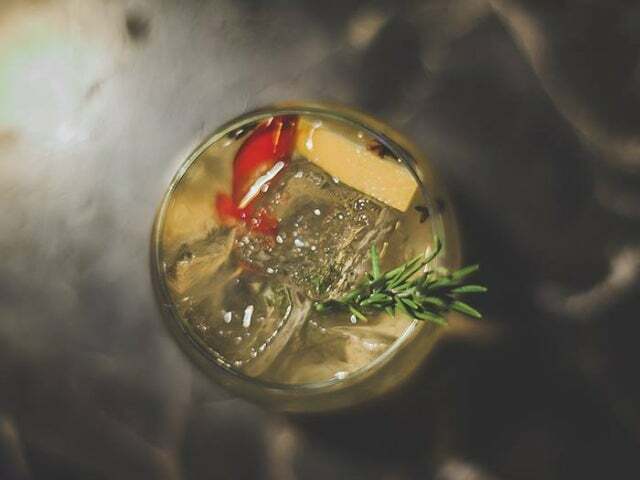 Tucked away in Cape Town, The Gin Bar is home to a menu of flavorful and fresh gin cocktails and a twinkling courtyard ideal for lingering over drinks. 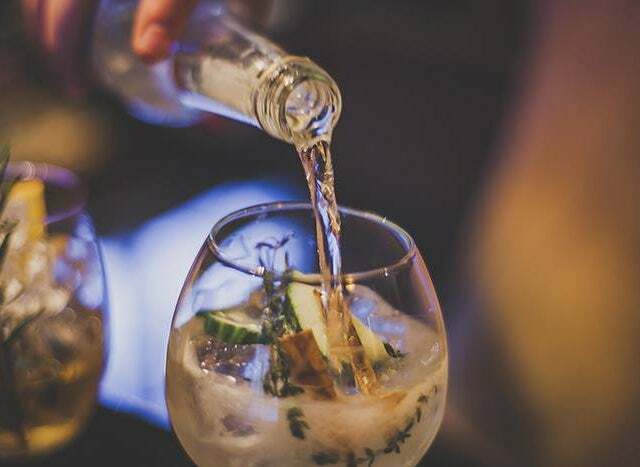 Aiming to provide a tonic for your body, mind, and soul, The Gin Bar is a hidden gem that has quickly become one of the most sought-after sipping addresses in the seaside city of Cape Town. Located off the leafy back courtyard of decadent local chocolate legend Honest Chocolate Cafe, The Gin Bar is home to a peaceful and serene secret atmosphere and expertly crafted gin cocktails composed with an enduring love for the spirit. 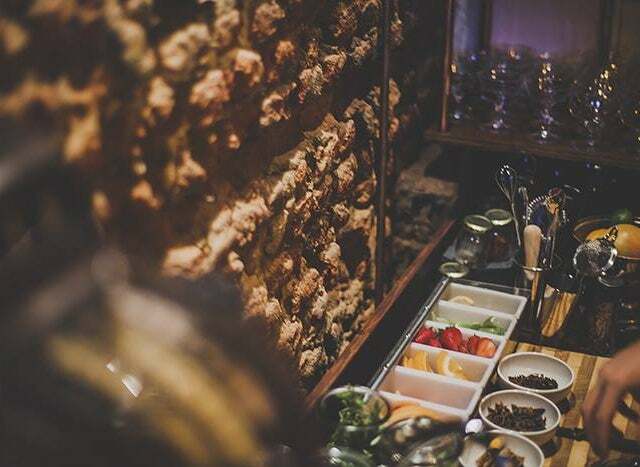 After finding your way through the weathered wooden doors of The Gin Bar, you are greeted by a minimalist room with a simple bar backed by a wooden curios-cabinet style shelf. This bar is stocked with some of the finest gins in the world – including upstart South African labels – and mason jars loaded with fresh garnishes. The atmosphere of The Gin Bar has the feel of a vintage medicinal potion provider, and the bar plays on this with its house cocktails that are named after the part of your body they are meant to heal: Heart, Head, Ambition, and Soul. The Head elixir features premium South African gin, thyme, star anise, lime, and local tonic. In addition to the set roster, creative specials are always being whipped-up by the bartending staff at The Gin Bar like the recent mango & black pepper gin and tonic with jalapeno, and for our money, their fairy-light covered courtyard may just be the most romantic place in all of Cape Town for a cocktail.